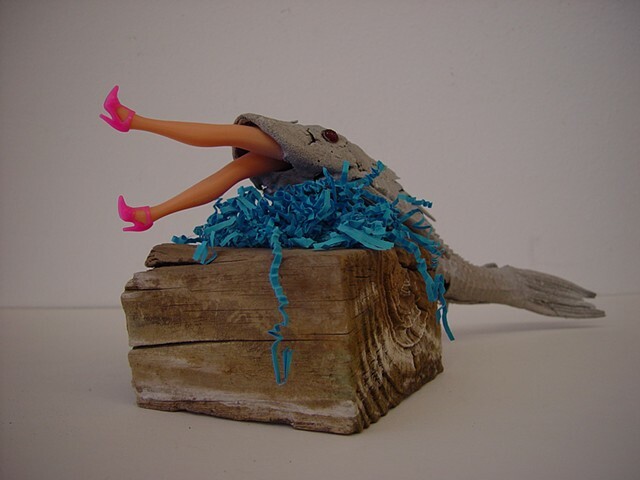 Mixed Media: plescostomus, aerosol paint, buttons, doll legs, shredded paper, found wood. 7 1/4 x 13 x 8 1/2"
The first desiccated plescostomus was a Valentine's Day gift my corgi Peggy Guggenheim found in the resaca. She was so pleased with herself when she presented it to me!